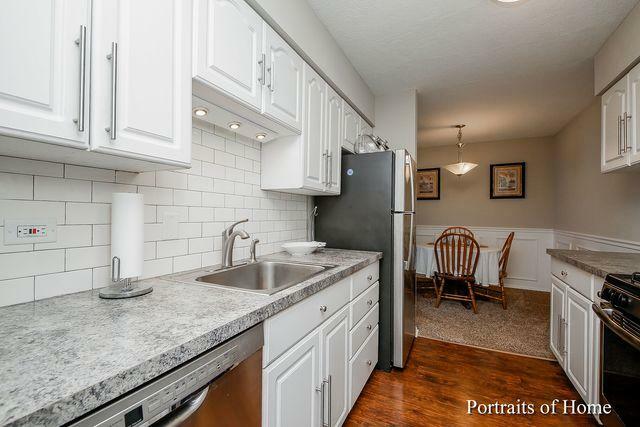 Moon Lake Village Condo. 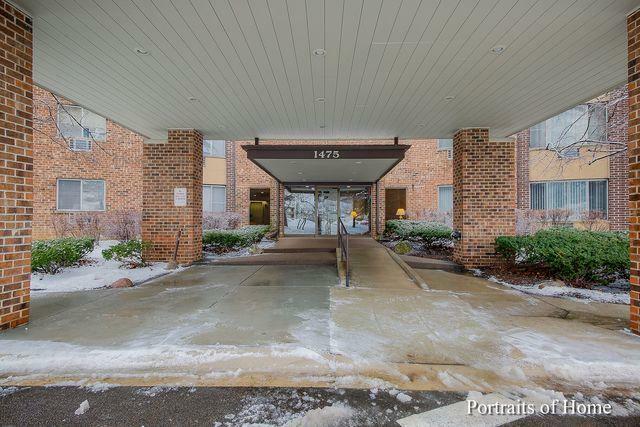 This beautifully updated spacious 2 bed 1 bath condo is a must see. 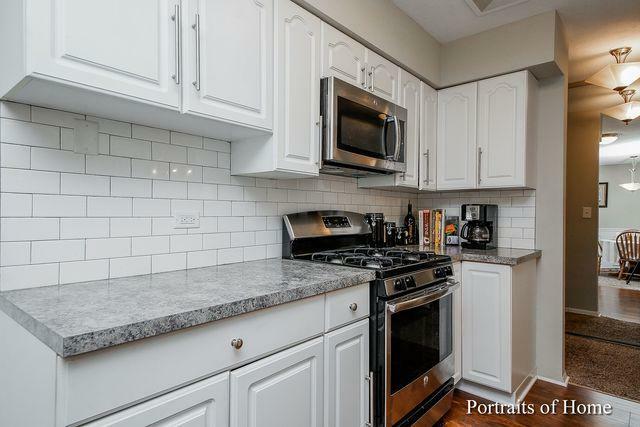 Move in ready chic condo with updated kitchen and bathroom featuring updated kitchen with stainless steel appliances, subway tile, wood laminate floor, and white cabinets and newer vanity in bathroom, dining room and family room include fashionable wainscoting . Enormous 12x5 walk-in closet in master bedroom. Building also offers an intercom system for your guests. Building includes 2nd floor laundry and inviting lobby for your guests. 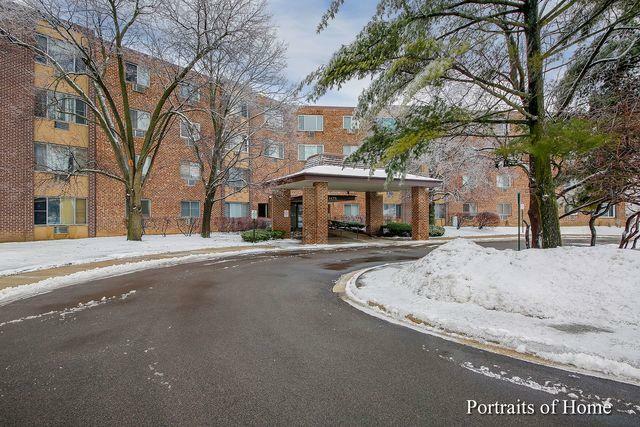 Great location, great amenities at Moon Lake Village including: Tennis Courts, pool, and club house. At this price, it will not last. Water, and heat included in HOA dues. Sold by Century 21 Premier Properties.